In fact, we’ve got so much going on here, we can only preview the first few months of 2018. 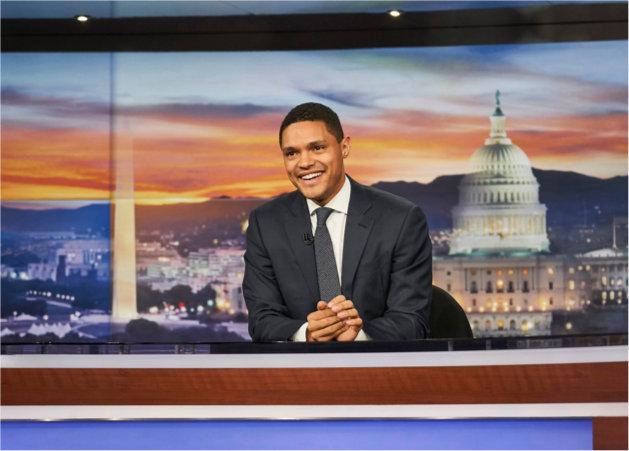 There are some substantial and serious shows lined up in the next few months. 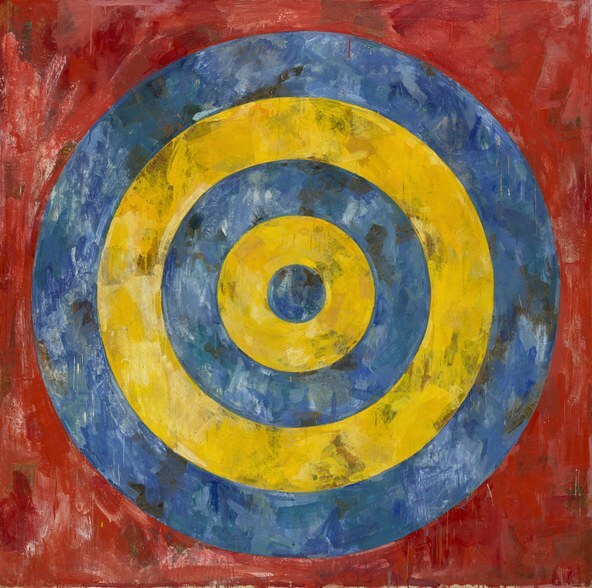 Jasper Johns: ‘Something Resembling the Truth’ opens Feb. 10 at The Broad, which continues to bring door-busting crowds to its downtown venue. 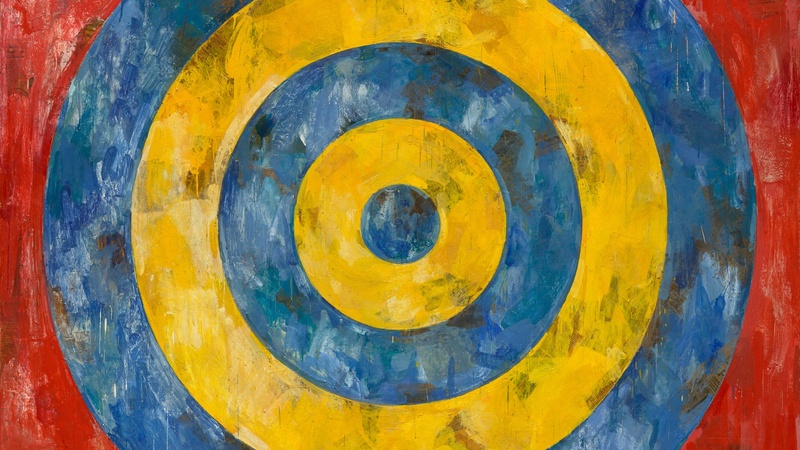 Though widely known as a progenitor of pop art due to his paintings of targets and American flags, this survey reveals an artist of challenging complexity. LA is the only stop for the show of some 120 major works including many not included in the show as it was originally organized by the Royal Academy in London. Harald Szeemann (1933-2005) is thought to be one of the most influential curators of the 20th century, lauded for his early support for minimal, conceptual and process art of the 1960s and 1970s. 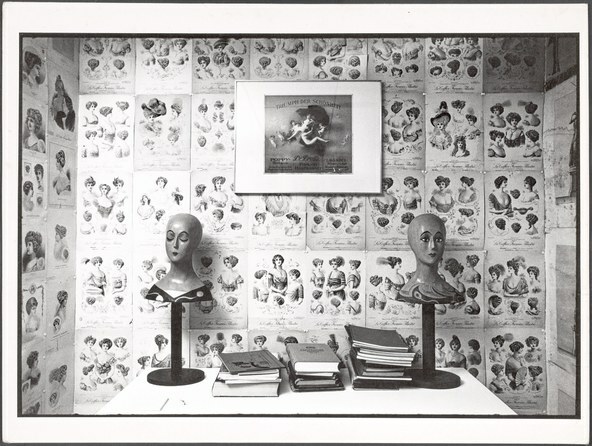 The Getty Research Institute acquired his voluminous archives and curator Glenn Phillips, with others, presents Harald Szeemann: Museum of Obsessions on Feb. 6. It includes photographs, documents and ephemera to examine his exhibition history as well as his life. To that end, GRI curators worked with the director of the Institute of Contemporary Art, Elsa Longhauser, who knew Szeeman, in order to present one of his oddest shows: Grandfather: A Pioneer Like Us. This is the recreation of a 1974 show comprised of materials that had belonged to his grandfather —hairdresser, wigmaker and inventor of a permanent wave machine. It is on view at the Institute of Contemporary Art in downtown LA from Feb. 4. Test for Reality projector. Photo credit: María del Pilar García Ayensa / Studio Olafur Eliasson. The Marciano Foundation opened last year with an rowdy Jim Shaw art installation that completely filled what used to be a functioning theater space. 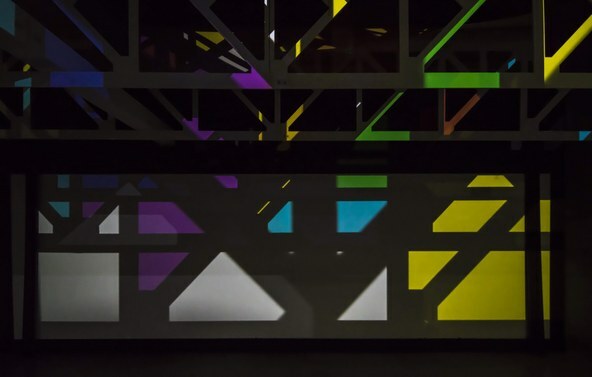 On March 1, revered Icelandic-Danish artist Olafur Eliasson has been commissioned to create a site-specific installation, Reality projector, that uses light and shadow and color to draw attention to the dramatic architecture. CAP UCLA welcomes Taylor Mac back to perform the singular artist's complete award-winning performance extravaganza, A 24-Decade History of Popular Music, March 15-24 at The Theatre at Ace Hotel. Photo by Little Fang. 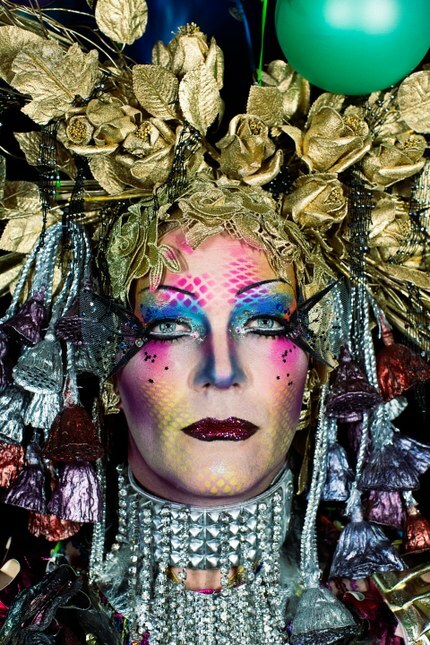 But save some energy for the indefatigable Taylor Mac, whose award-winning performances, A 24-Decade History of Popular Music, begins March 15. Presented by CAP UCLA and The Theater at the Ace Hotel, brace yourselves for four nights of six-hour performances exploring history through song from 1776 to the present. Could it be more timely? Tickets are selling fast.